Many of which were 111 degrees. Yet a rose, last year’s rescue from the dollar bin at the co-op, then mostly twigs, now blooms. Profusely booms. Dozens of blooms, many dry on the vine before fully opening can happen. 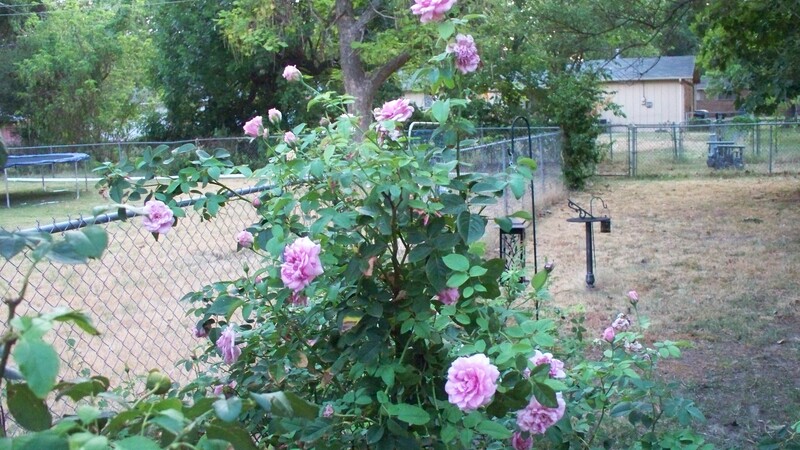 Overnight, persistently, this rose blooms. J and P, Bishop’s Castle.